After leaving school in 1973, aged 16 Martin went to work at Rees Brothers, a garage in Aldershot (specialising in vintage car restoration). Run at the time by Dudley Gahagan (a well-known character in the vintage car and restoration business) it was here that he met George Hampson. In 1979 Martin left Rees Brothers to pursue other interests and George left a year later to form the Aldershot Motor Company. 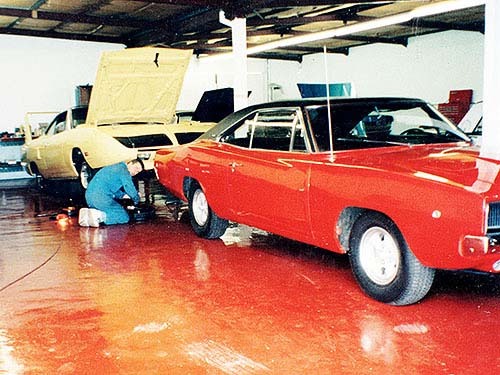 Martin joined forces with George and by that time had developed a keen interest in American muscle cars, owning a half share in a 1968 Dodge Charger. The bug was infectious and in 1982 George bought a 1969 Dodge Super Bee which they drag raced throughout the mid-80s. 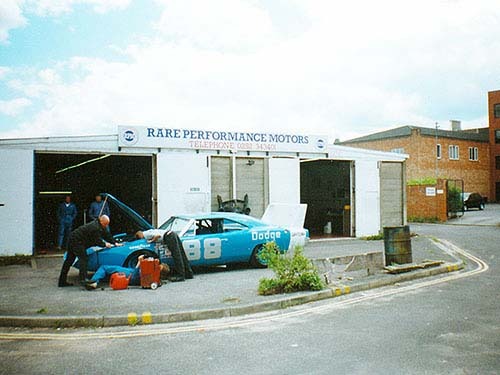 In 1986 George sold the business to Charters of Aldershot and went to work for the new company - meanwhile Martin carried on working in the motor trade and went on to form Rare Performance Motors around 1990. George came back on board as a partner in 1993 and in 1997 Peter Jordan, a long-time friend and Mopar enthusiast, joined the company. 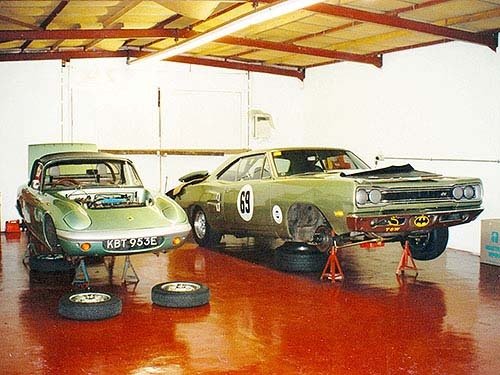 There then followed many trips to Sweden and America sourcing rare and valuable muscle cars. Throughout the mid-90s Martin became heavily involved with the HARA and ACRA race series, developing and racing George's Super Bee. 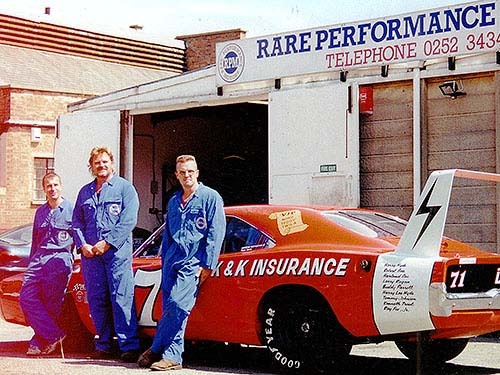 Racing then became a big part of the business and about this time Steve Harvey joined the team as a fabricator and auto electrician. At the end of 2009, after 25 years, the old RPM building in Aldershot was sold for redevelopment. By this time Peter Jordan had left to start his own shipping company and RPM moved to the current location, in Tilford, in January 2010. Sadly, George who had always been an integral part of RPM passed away during July 2011 as a result of ongoing health problems and Peter passed away in November 2015 after a short fight with brain cancer, both are much missed. However, RPM continues to flourish under Martin’s enthusiastic guidance.